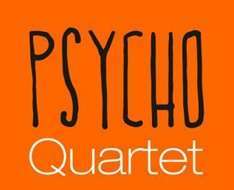 Psycho Quartet consists of four virtuoso instrumentalists who share a long-standing friendship and professional relationship. Vivi Gkegka (mandolin), Mariliza Papadouri (cello), Dimitris Papangelidis (classical guitar) and Yiorgos Salvanos (piano) will present their first concert as a quartet in Cyprus and share with the audience much-loved songs from the Greek cinema, performed with joy, humour and nostalgia. Vasilis Gisdakis, one of Manos Hadjidakis’ last collaborators, will be performing with them as a guest singer..